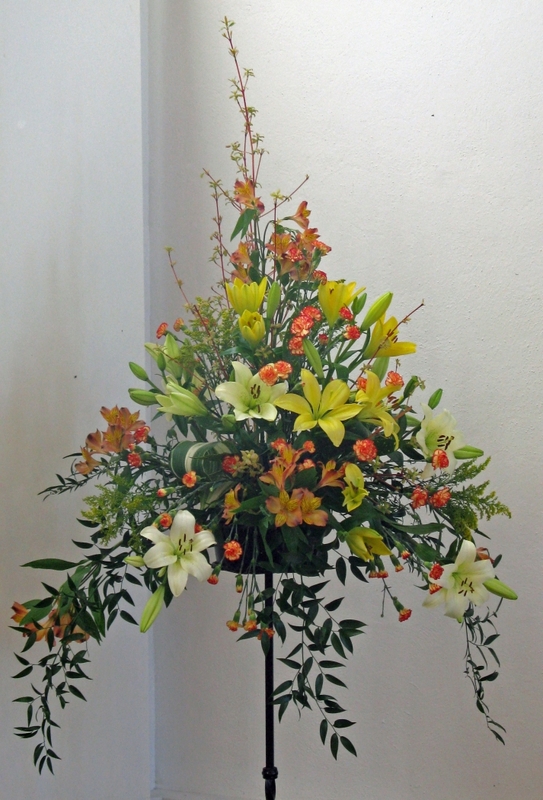 St Michael’s Guild is a group of flower arrangers who enjoy creating many artistic designs to decorate our beautiful Church weekly throughout the year. The whole Church is decorated for the festivals of Easter, Pentecost, Harvest and Christmas but only foliage is used during Advent . The Church is left bare in Lent, symbolic of that season. Special floral arrangements for weddings and funerals are often requested and we are happy to discuss individual colours and needs. Occasionally we receive a gift of money with a request to create a special pedestal to mark an anniversary, birthday or in memory of a loved one on a particular Sunday. Currently we have eighteen ladies in our team with varying expertise in flower arranging and we are always happy to welcome new members. From time to time some gentlemen of the Church, known as The Flowerpot Men take a turn to create their own masterpiece to help us out with the weekly flowers. Margaret Lovett, Chairman St Michael’s Guild, through the Church Office.